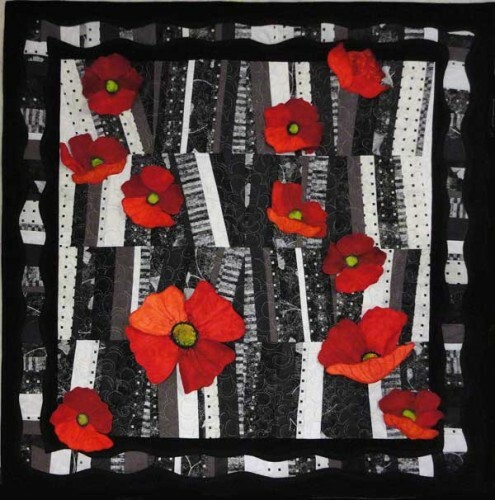 This class presents two great techniques for making art quilts. Learn to play with fabric and thread, using water soluble stabilizer and embroidery hoops to create 3D flowers. The one day class concludes with a presentation of the strata technique for piecing the background. Shops may elect to offer a class on the strata technique separately.